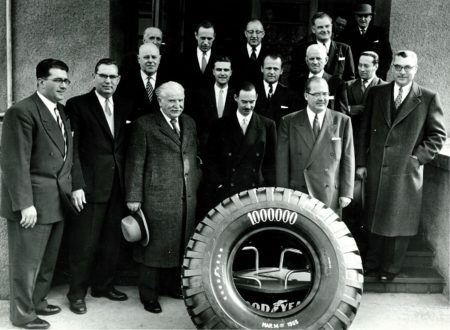 With the announcement in September 2017 of the Mercury project - an investment of nearly USD 95 million for the construction of a state-of-the-art connected plant in Dudelange - the tire manufacturer Goodyear is further strengthening its presence in a country where the group, present since the early 1950s, has established one of its two world R&D centres. August 5, 1949 Goodyear S.A. Colmar Berg was created, with a share capital of 45 million francs at the time. “We welcome the creation of this company which will significantly contribute towards mitigating the non-industrial character of the Luxembourg economic structure,” read the information bulletin of the Ministry of State of September 30, 1949. The activity started in 1951: it was the 35th factory of the group, and the first in continental Europe. It employed 250 workers and 80 employees and engineers, recruited locally, and produced 500 tires per day. 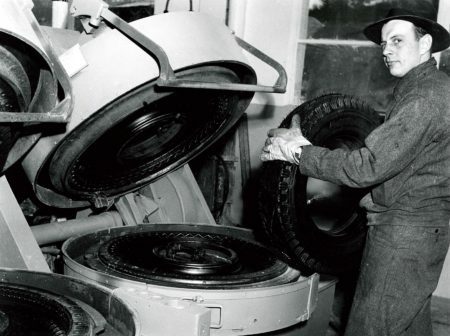 In 1955, the number of tires produced had already reached one million, and six years later, the milestone of 5 million was achieved. Which first justified an extension of the plant, inaugurated in 1962, and which brought the daily production to 5,400 tires. 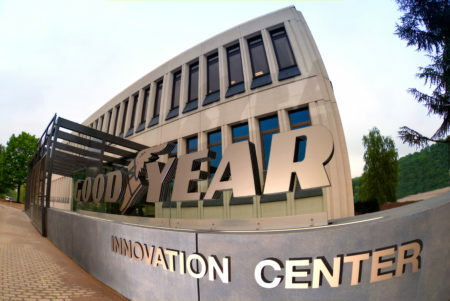 It was in 1957 that Goodyear established its first European Research and Development centre, right next to the Colmar-Berg plant, which became the group’s largest tire factory in Europe. Goodyear’s activities diversified from the end of the 1960s, with, in the space of just a few years, the creation of Luxembourg Industry (production of tire interlinings), Luxmold (molds for the manufacture of tires) then Luxwire (manufacturing of ultra-modern steel cables for tire interlinings) which became Luxembourg Luxyold (factory for the production of tire interlinings), followed by a new extension of the site over 30 ha. Operations that represented nearly 1.5 billion francs of additional investment and hundreds of new jobs contributed to the creation of over 500 jobs (many of them highly skilled). Having become a major industrial player in the country – the second largest employer (behind the Arbed), with some 4,000 employees, Goodyear also helped to move the goalposts in terms of legislation. Thus in the mid-90s, the group obtained from the government (then led by a newly elected Jean-Claude Juncker) a derogation authorising work on Sundays, to ensure continuous production. In return, the group continued to invest and more than a hundred recruitments were made on the national labour market. In the process, a new programme of more than 1.8 billion francs over five years was launched in order to turn the Colmar-Berg tire factory into the group’s European centre for truck tires. Engaged in numerous national and international R & D programmes, Goodyear represents today the perfect compromise between the traditional industry of yesterday and the innovative one of tomorrow. The forthcoming Mercury “4.0” plant in Dudelange is the perfect symbol: a highly automated site that will enable much more flexible production, mainly high added value and large size tires. The same goes for the company’s involvement in the creation of the Luxembourg Automotive Campus in Bissen, which, from the beginning of 2019, will make available 14 ha to automotive research and development.